Amazing 3 Bed Room, 2 Full Bath Townhome in Adult Retirement Community at Christian City. 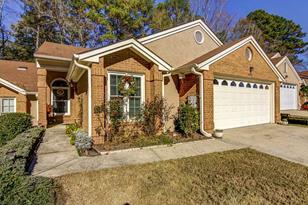 This spacious well maintained home features a warm and cozy Sunroom that will make you feel right at Home. The open kitchen includes plenty of cabinets, and a pantry. Living Room with built in cabinets and a gas log fireplace. The Master bedroom has a pedestrian door entry into the Sunroom as well. Master Bath offers both a large walk-in shower, jacuzzi tub, and double vanity. HOA maintains all of the exterior of the home including yard work, and pest control.. 62 + only. Driving Directions: From Hartsfield Jackson take 85 S take exit #64 (GA-138) and turn left. Go 1 mile and take right onto Lester Rd. Turn right at stop sign to stay on Lester Rd. Go .3 miles to left on Canaans Way. Go .1 miles to right onto Gideons Trce. Home is on right. 4509 Gideons Trace, Union City, GA 30291 (MLS# 6514505) is a Townhouse property with 3 bedrooms and 2 full bathrooms. 4509 Gideons Trace is currently listed for $150,000 and was received on March 05, 2019. Want to learn more about 4509 Gideons Trace? Do you have questions about finding other Townhouse real estate for sale in Union City? You can browse all Union City real estate or contact a Coldwell Banker agent to request more information.